Kiwi habits and physical characteristics are so like a mammal the bird is sometimes referred to as an honorary mammal. Kiwi are flightless – their Latin species name is Apteryx, which means wingless. They belong to an ancient group of birds that can’t fly – the ratites. Kiwi are the only bird to have nostrils at the end of their very long bill. Their nostrils are used to probe in the ground and sniff out food to eat. Females are larger than males (up to 3.3 kg and 45 cm). They are long-lived, and depending on the species live for between 25 and 50 years. Most kiwi are nocturnal birds. One reason kiwi are nocturnal is the food they hunt. 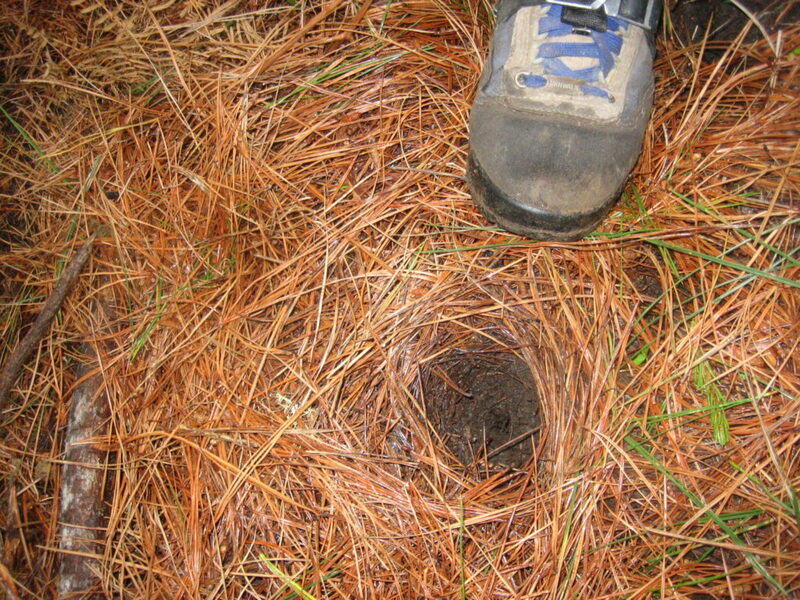 When the sun goes down, many of the underground invertebrates they like to eat move up closer to the soil’s surface. Kiwi are most commonly forest dwellers, making daytime dens and nests in burrows, hollow logs or under dense vegetation. However, kiwi are adaptable, and live in a huge range of habitats – from native forest and scrub to rough farmland and plantation forests, sand dunes and snowy tussocks, even mangroves. They especially like places where stands of trees run down to rivers and include pockets of wetland vegetation. They fiercely protect their patch and fights can be rough. These involve high jumps and slashing blows, kicks and tears. A kiwi’s sharp claws and powerful legs and feet can inflict fatal wounds. Once territories are established, border disputes are usually resolved by less dangerous means – birds call to mark the edge of their territory, and the sound can carry several kilometres. To avoid a confrontation, kiwi speed back into their home zone before returning their neighbour’s call. The size of territories ranges from 2 hectares to 100 hectares, depending on the species and their location. Because kiwi live in diverse habitats, from mountain slopes to exotic pine forests, it is difficult to define a typical kiwi diet. Most of their food is invertebrates and a favourite is native worms, which can grow to more than 0.5 metres. Luckily for kiwi, New Zealand is rich in worms, with 178 native and 14 exotic species to choose from. Kiwi also eat berries, seeds and some leaves. 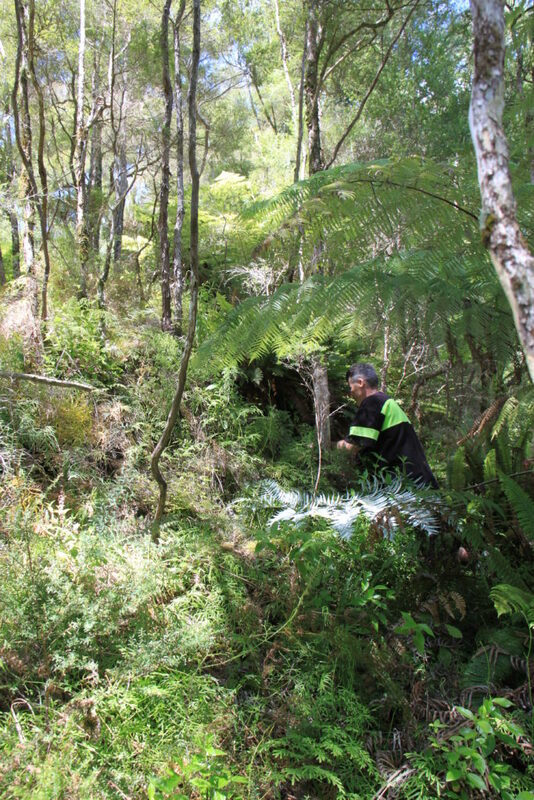 Species include totara, hinau, miro and various coprosma and hebe. Adult kiwi usually mate for life, and are strongly territorial. Depending on the species, the male kiwi does most of the egg incubation. There is usually one clutch of one egg per year from June to December. Brown kiwi often have two clutches of two eggs. 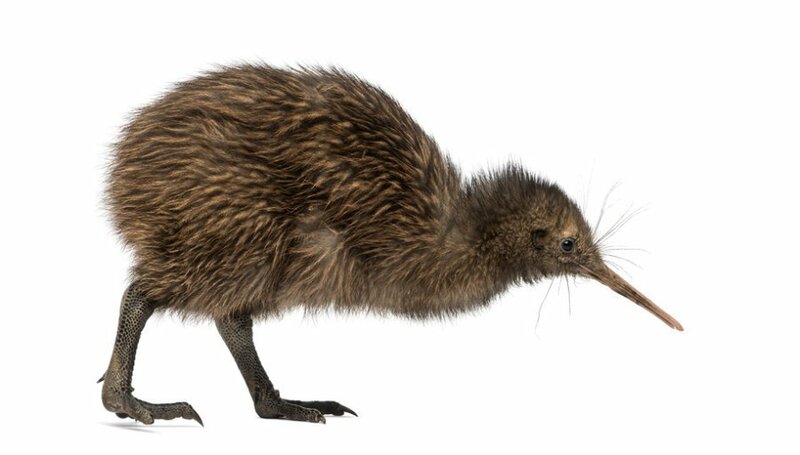 Kiwi have one of the largest egg-to-body weight ratios of any bird. 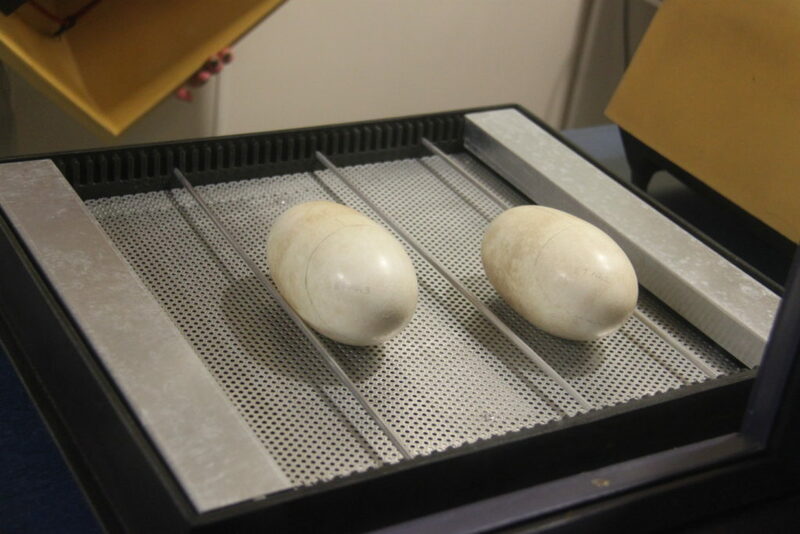 The egg averages 15% of the female’s body weight (compared to 2% for the ostrich). Chicks hatch fully feathered after a long incubation of 70-85 days, emerge from the nest to feed at about five days old and are never fed by their parents. Juveniles grow slowly, taking three to five years to reach adult size. Kiwi have become indicator species for conservation and are often used as a measure for the state of our natural environment and the outcome and value of community conservation projects. Today, more than 90 community and iwi-led groups actively protect kiwi over a combined area estimated to be 230,000 ha. Land is managed for wild populations, as well as at fenced predator-proof sites and on predator-free islands. Approximately 20% of the kiwi population is under management. There are about 68,000 kiwi left in all of New Zealand and an average of 27 kiwi are killed by predators EVERY WEEK. That’s a population decline of around 1,400 kiwi every year (or 2%). At this rate, kiwi may disappear from the mainland in our lifetime. In areas where predators are controlled, 50-60% of chicks survive. When areas are not under management 95% of kiwi die before reaching breeding age.